I bought this a few years ago and managed to get a second hand 2001 copy on Amazon. It was reprinted in 2004 but as far as I know the only difference is the cover image. Mandy is a pioneer of natural perfumery who also teaches and creates beautiful perfumes and chefs essences. What I love about this book is it’s slightly esoteric slant with history, myths and alchemy or fragrance and fragrance materials. It also has a good introduction to creating natural fragrances and suggests materials that work best together. 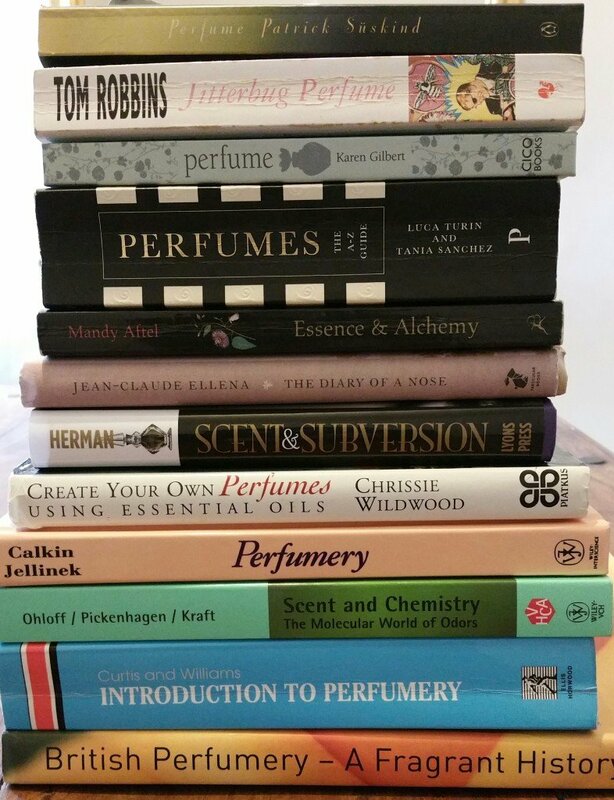 Something worth mentioning which goes for all books on perfumery is that anywhere formulae are suggested it is for educational purposes and home use. Those intending to create fragrances to sell need to be aware of individual regulations and limits on materials in your own country especially for those in the E.U where regulations on naturals are much tighter than the USA. If you want just one good all round perfume reference book the this is the one. Like Jo Fairley’s other book “The Beauty Bible” this is aimed at educating the fragrance buyer. There are chapters on fragrance families, terminology and interviews with perfumers as well as a guide to the best blogs and fragrance shops. The section “top 100 perfumes to try before you die” is a great compendium of iconic fragrances both old and new that any perfume lover should smell. Written by Luca Turin (Scent and Chemistry) and his wife Tania Sanchez, this book has become a cult classic for it blunt and often scathing reviews of famous fragrances. There are plenty of glowing reviews too and a star rating from 1 star = Avoid to 5 stars = Masterpiece. I don’t always agree with their ratings or reviews but it is a fun read and another great reference book for those wanting to learn more about perfume even if it is just to choose a fragrance for yourself. There are lots of books out there on the history of perfumery but this one by Barbara Herman of the blog YesterdaysPerfume.com really delves into vintage classics. It’s very well written and as well as showing how to become a more informed and discerning perfume lover it gives tips on collecting vintage fragrances. What I love about this book is the fragrance profiles organised by decade, many of which we can no longer smell as they have either been reformulated or discontinued. It’s a great starting place for those looking to learn more about the iconic fragrances of the 20th century. Yes this is a chemistry text book of sorts but as chemistry books go it is very readable and accessible to the intermediate to advanced perfumery student. I love this book and the fact they have a facebook and twitter account that tweets amazing in depth fragrance formulae and deconstructions. Even if you don’t buy the book follow them on social media (just search scent and chemistry). The book itself profiles a lot of naturals as well as aromachemicals so don’t be put off if synthetics are not your thing and it also gives juicy tidbits of information on the actual amounts of certain materials in well known fragrances. This in itself is a great way to learn how fragrances are created. This is possibly one of the most interesting and comprehensive books I have come across for the budding perfumer although it was written in 1994 so some of the material on IFRA will be out of date. At the time of writing the authors were a teacher at the Dragoco (now part of Symrise) perfumery school and the manager of product and consumer research also at Dragoco. There are chapters on all aspects of perfumery and raw materials including compounding notes for particular florals and a table of the basic raw materials and their classification. What I really love about this book is the section titled “studies in fine fragrance” which delves into how some of the classic fine fragrances were created and the materials used. This is the first perfumery textbook I bought back in the 90’s to go with the perfumery correspondence course from Plymouth University (http://www.icatsaromaeducation.com/). The book contains much of the information in the course notes so makes it a lot more cost effective to study although of course you don’t get the qualification. The course and book are designed for those in or intending to go into the commercial fragrance industry so there is also a lot of material on marketing and the structure of a fragrance house which may not be so interesting for some. The think I like about it is the materials profiles which are a good reference and the fragrance formulae they include. Also as it is a text book, there are exercises and experiments to do – so a great learning tool. 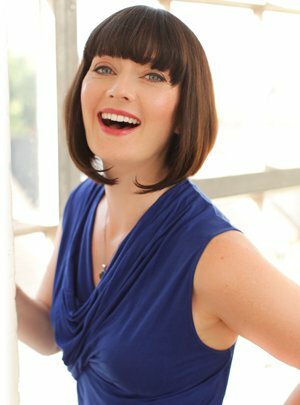 At first I thought it a bit conceited to add my book to this list but I wanted to mention that when I wrote it the intention was for it to be more accessible than the text books but a bit more in depth technique wise than the beginners natural perfumery books out there. Sort of like a perfumery class in a book form that is a companion to my live classes and online course. Something you can flick through and enjoy or work through to create your own fragrances. The BSP was formed in 1963 to promote the interests of individual perfumers and to improve the status of perfumers by seeking wider recognition of perfumery as a profession. This book was conceived to celebrate it’s 50th year. It has recently opened up it’s membership to people not in the industry and does run events throughout the year. This book provides a great insight into the companies and perfumers involved in british perfumery and give a glimpse behind the curtain with personal stories and anecdotes. This is a great book for those wishing to know more about how the industry works and who the key players are. A lovely little book which is in the form of a diary written by Jean Claude Ellena the renowned perfumer at Hermes. It gives a peek into the world of a top perfumer living in the hills above Grasse. Originally written in French I’m sure this book has lost something in translation but it is still an interesting read. One thing to add here is that most industry perfumers do not have a life like Jean Claude who at Hermes is given creative license and not restricted to hundreds of briefs or deadlines so it does paint a rather more romantic picture than is reality for most. What I love most about this is the little accords at the back of the book for you to try. A cult classic novel about a perfumer turned serial killer, this book conjures up visceral images of 18th century Paris and the growing perfume industry in Grasse. It was also made into a film which is more immediate but I think the book is worth reading for its more in depth descriptions of what the area must have smelled like at the time. For those who haven’t read it or seen the movie, read the book first.